A walk on the beach usually involves seashell gathering. With some ingenuity and creativity, those shells can become charming animals and reminders of a summer vacation. 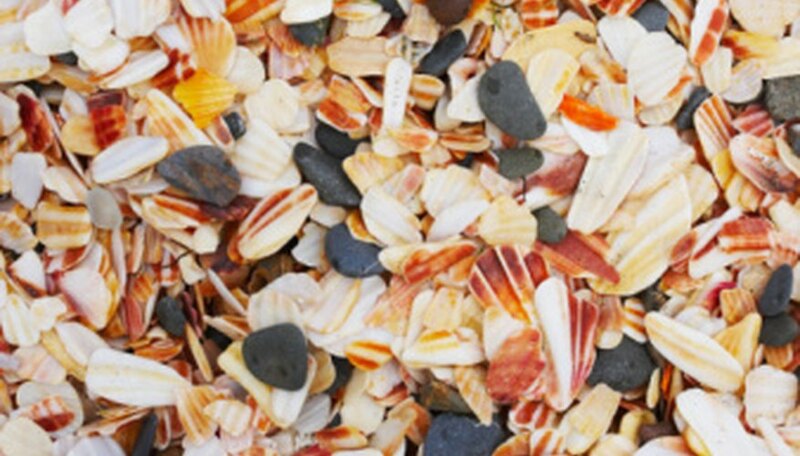 Look for unbroken shells of various sizes, shapes and colors. Use larger shells as bodies and heads and tiny shells as facial features. A craft session making these critters could save a rainy vacation day at the beach, while making memories of a special time. Place two clam shells for the koala feet, with the open side down, side by side about 1 inch apart on a flat surface like a table. Attach a scallop shell, open side facing toward you, to the tops of the clam shells for the koala body with the hot glue gun. The hinge side will be on the left side facing you. Attach a second smaller scallop shell for the koala face, open side away from you and pointy side down, at the top of the other shell using the hot glue gun. Attach two small clam shells, open side facing away from you, with the glue gun to the top of the scallop shell for ears. Draw a large round nose and two small eyes on the koala face with the marker. Glue four long thin pointy auger "leg" shells, pointy end facing down, to the middle section of one larger, thicker auger "body" shell with the hot glue gun. This forms the giraffe legs and body. Glue another long thin auger shell to the top of the body for the giraffe neck, pointy end facing up, using the glue gun. Glue a white auger shell to the neck with the glue gun for a giraffe face. Glue small round shells for ears to both sides of the top edge of the auger "face" shell. Glue tiny round shells to the "face" near the top of the shell for the giraffe eyes.